“Dance music pioneers Massive Attack take over 6 Music for an exclusive 6 Mix, playing a selection of their favourite music alongside tracks which influenced their seminal album Blue Lines. 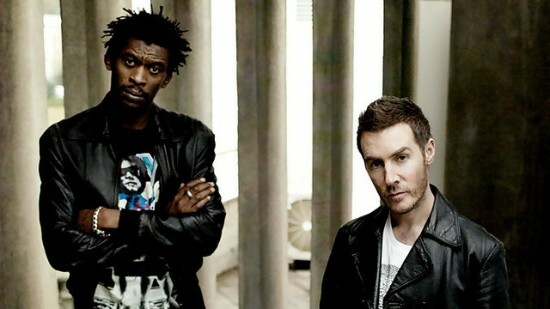 One of the UK’s best known electronic acts, Massive Attack formed in Bristol in the mid-1980s, out of the ashes of hip-hop collective The Wild Bunch. Their debut album Blue Lines was released in 1991 and is seen by many as a watershed moment in British dance music, fusing hip hop, soul & jazz with the smokey late night vocals from Tricky and Shara Nelson. The album became an instant classic, with its lead single Unfinished Sympathy regularly topping polls for the greatest British single of all time. Since then the band have released four further albums, collaborating with everyone from Tracey Thorn to the late Terry Callier, via Sly & Robbie Elizabeth Frazer and Elbow’s Guy Garvey. Follow Core News on Facebook, Google+ and Twitter. Want faster download speeds? Purchase an account from Uploaded.net and support Core News at the same time. This is one of the best 6Mix shows. 3D selections on the first hour and Daddy G starts the final from Jallanzo. 3D choices are moody, grim, dark and devilish tunes while Daddy G stays with more rootsy and soulful vibes. Although the show is hosted by Gilles Peterson, it is only his snippets drop-in here and there. No conversations or even songs introductions from Daddy G and 3D.